Item # 314511 Stash Points: 395 (?) This is the number of points you get in The Zumiez Stash for purchasing this item. Stash points are redeemable for exclusive rewards only available to Zumiez Stash members. To redeem your points check out the rewards catalog on thestash.zumiez.com. 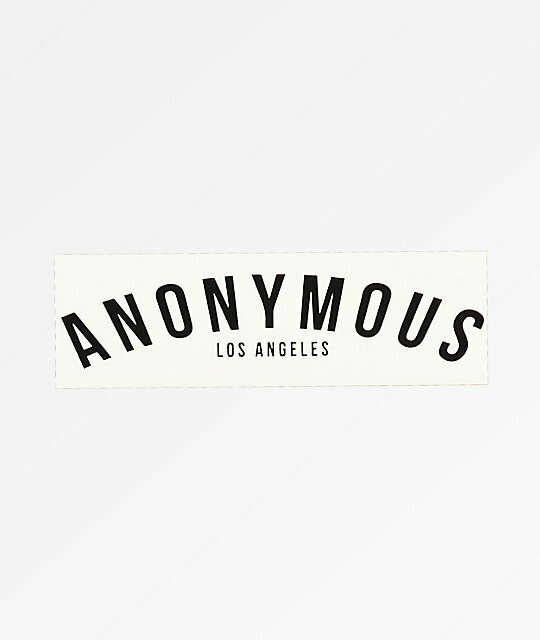 Add simplistic branding and flair to wherever you collect your stickers, with the Anonymous LA Sticker. This mostly white sticker features black script detailing that reads "Anonymous Los Angeles" for a clean and simple look. White sticker with black script.